International Council Meeting is a statutory meeting of ELSA, and is hold biannually in autumn and spring. 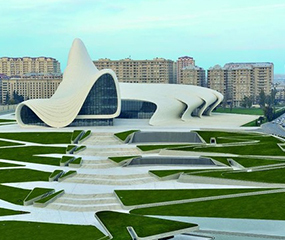 Spring session in 2019 - 75th International Council Meeting will take place in Baku gathering all ELSA members from the ELSA network. ICM Baku has special importance, as voting on Strategic Goals of the Association, which will have a huge impact on next 5 years of ELSA, and election of the International Board will happen in Baku. You have the opportunity to be a part of the network‘s lifetime experience at the point where East and West meet – the capital and largest city of Azerbaijan – Baku from 24th to 31st of March. As the hosting group, ELSA Azerbaijan is proud to organize an unforgettable event and prepares all the best for you. Registration starts on 25th of January and ends on 3rd of February 2019. 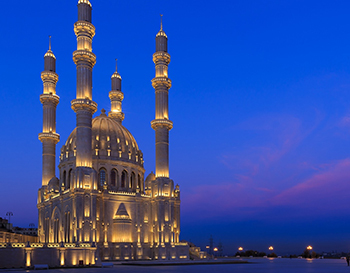 Discover Baku with Our Special Programs for you! If you want to experience Azerbaijani culture and history, breath fresh air in one of the highest points and have a trip over Caspian Sea, you should definitely join us. Copyright © 2019 International Council Meeting Baku. All Rights Reserved.